Get out of town with these interesting Toronto side-trips: Niagara Falls (Niagara Parks Butterfly Conservatory, Niagara Falls, & more). 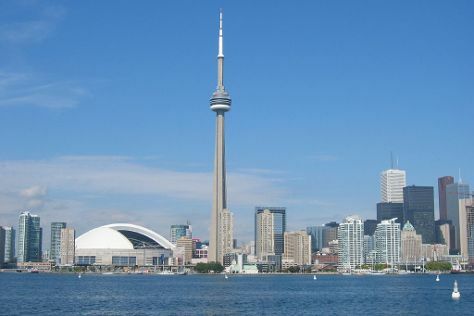 Next up on the itinerary: admire the landmark architecture of CN Tower, see the interesting displays at Royal Ontario Museum, and browse the eclectic array of goods at St. Lawrence Market. To find photos, reviews, where to stay, and tourist information, read our Toronto travel planner. In July, daily temperatures in Toronto can reach 32°C, while at night they dip to 21°C. Wrap up your sightseeing on the 31st (Mon) to allow time to travel back home.